New Delhi, April 7 (IANS) Grammy-nominated Indian-American songwriter Raja Kumari, also a rapper, desires her music — that she uses as a bridge between the East and West — to reach far and wide. And so, she wants to get involved in Bollywood as it has a “great impact” on the world. 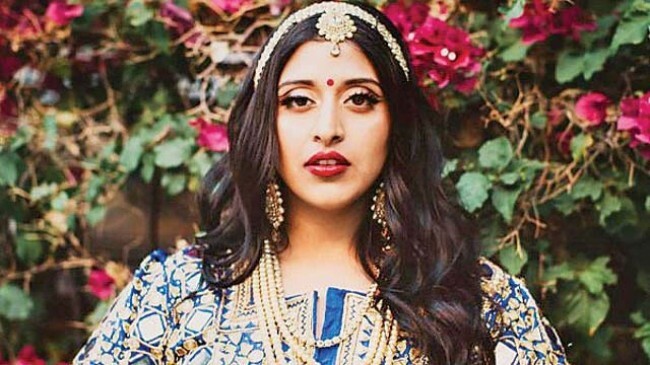 The California-based artiste with roots in Andhra Pradesh has been performing in India, appearing on reality shows and also teaming up with Indian talent for songs. What else is she planning to explore in India? “I want to use my time in India wisely and explore the opportunities and try something new. I want to do more stuff in Hindi films. It (Bollywood) has such a great impact on the entire world. The idea that something I write can reach so many more people, that’s exciting for me as a musician,” Kumari told IANS over phone from Mumbai. The music scene in India is “completely different” from that in the US. “In India everything is Bollywood music. It is the most popular genre. The genre that we are making (in the US) is a new thing here… the independent music. “In America, there isn’t much opportunity for Indian singers in mainstream music. It is something that we are trying to change,” said the artiste, who was a celebrity guest in Amazon Prime Video’s Unscripted Original, “The Remix” where she collaborated with contestants Yash and Kryll to recreate Bollywood number “Ankhiyon se goli marein”. The “City slums” hitmaker also got to fulfil her dream of visiting Himachal Pradesh, popular for its scenic beauty. “For the show ‘Lockdown’, (singer-composer) Kailash Kher and I had to remix two songs in our style and shoot the music video. It was completely crazy. I was lucky to have a partner like Kailashji. He made it really easy for me and enjoyable. We shot in Himachal Pradesh. That was a dream of mine to go and spend time there. It was amazing,” said Kumari. “Lockdown”, a ZEE5 project, is a series where each episode brings together a celebrated Bollywood singer with a YouTube singing sensation. Locked in one location for a day, these musicians collaborate to recreate two songs. The musical reality show will also feature artistes like Raftaar, Shekhar Ravjiani, Gippy Grewal, Shirley Setia, Darshan Rawal, Arjun Kanungo and Jonita Gandhi. So is this a competition show? “We are not competing. We are just participating in the opportunity. These are collaborations that normally wouldn’t happen. Every episode is a challenge,” she said. “The show has been shot all over India rather than just in a Mumbai studio. It’s a cool way to show the beauty of our country,” she added. She had previously collaborated with notable artistes like Gwen Stefani, Iggy Azalea and Fifth Harmony. Is she writing for more American or global singers? “I am working on my own album. I will be releasing it this summer. I have a lot of songs which I have been doing mostly for my album,” said Kumari. But she doesn’t want to give up songwriting. “As a songwriter, it is amazing to be able to put other people’s emotions (into a song) and to help them. But as a performer, rapper and singer, there is nothing like being on the stage and connecting with people and getting a chance to share music with the world. I couldn’t let one go for the other,” she said.